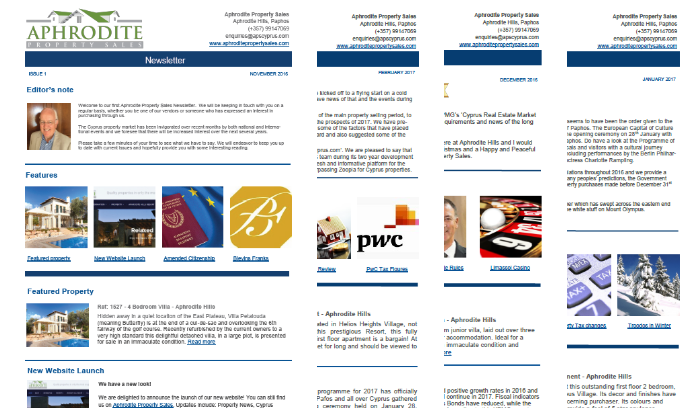 At aphroditepropertysales.com we try to keep all of our prospective purchasers and current owners up to date with the news that matters from around Cyprus. Whether it is new regulations relating to purchases or introducing associates to help with all aspects of buying and selling property in Cyprus we will do our best to keep you informed. 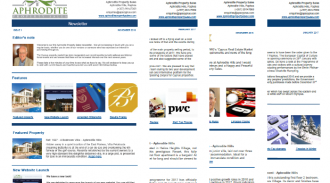 You can view our newsletters by clicking on the link below. Also don’t forget to check out our blog which contains more news as and when it happens across Cyprus. You can check out the blog by Clicking Here.